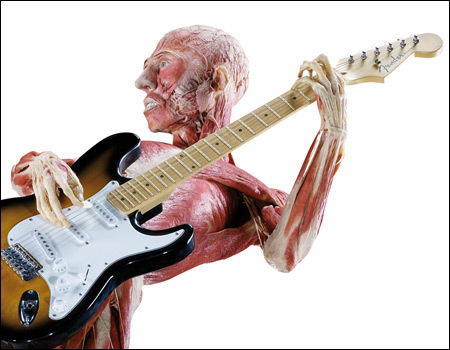 Body Worlds is an exhibit that can be seen in various parts of the country which contains plastinated models of humans who have donated their body to science (and art). I went to this exhibit several years ago and found it fascinating and my students loved it. This field trip was definitely worth the cost. I put together some supplementary materials for my students. They were required to read the guide produced by bodyworlds and answer questions about the exhibit and the procedures used to create the specimens.